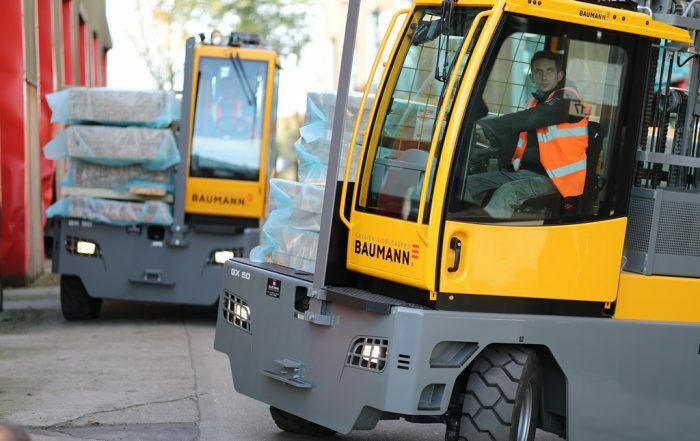 Baumann Sideloaders UK – Baumann UK is a dealer-support infrastructure business for the world’s largest producer of diesel, LPG and electric sideloaders. 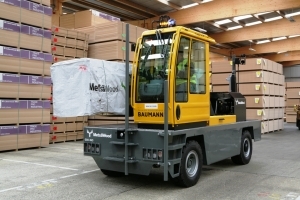 Baumann Sideloaders offer the most effective way to handle a multitude of long or bulky products, typically timber, plastics or metals. Today, our qualified sales and service network provides professional support to customers across the globe. 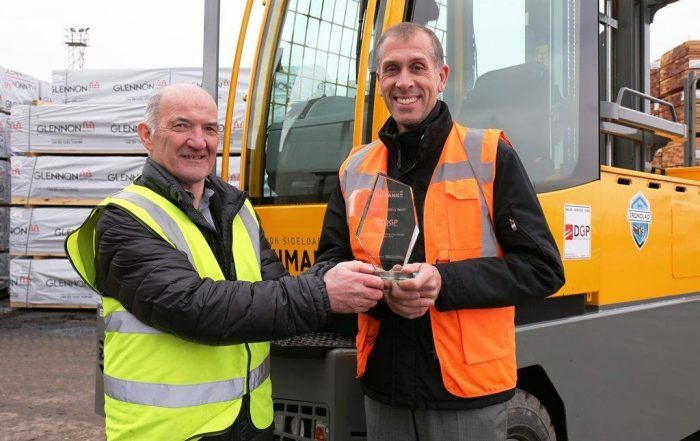 Our latest model, the ELX offers ‘another great leap sideways’ and has earned us our second Fork Lift Truck Association Award nomination in a row, following 2016’s Innovation win for the remarkable Archimedes outreach system. Whilst our new cabin design follows two years of trials and six months of rigorous testing, strengthening the framework, whilst simplify access and allowing central side struts to be removed. 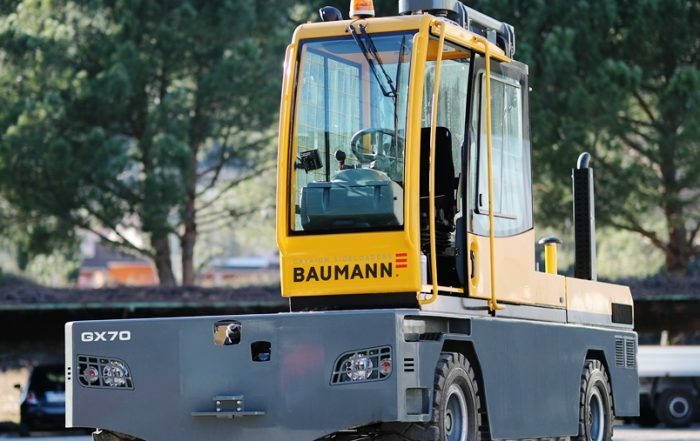 Baumann is a world-class manufacturer with a reputation for consistent innovation, and the highest level of design and productivity. 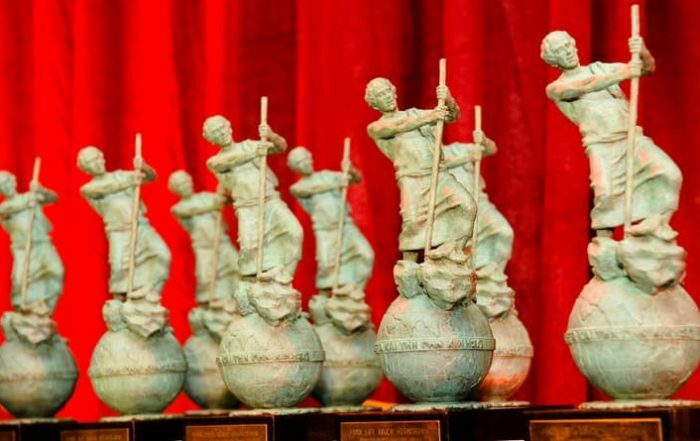 Baumann has been awarded the 2019 FLTA Award for Environment Excellence, following a previous shortlisting in 2017 and the 2016 award for Innovation. 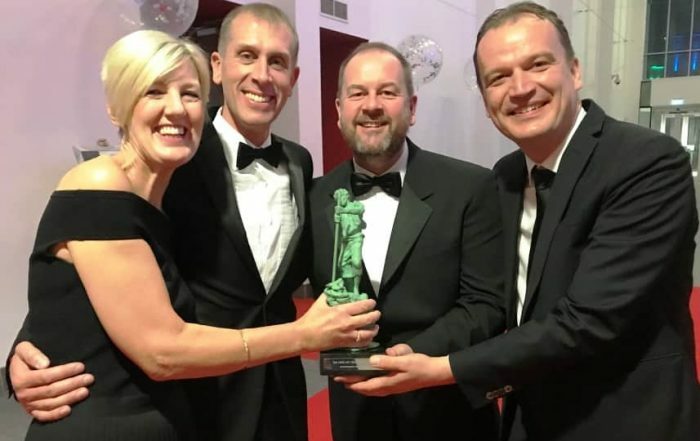 Congratulations to our Scottish dealer, DGP for a great sales performance - a worthy recipient of our latest Outstanding Achievement award! 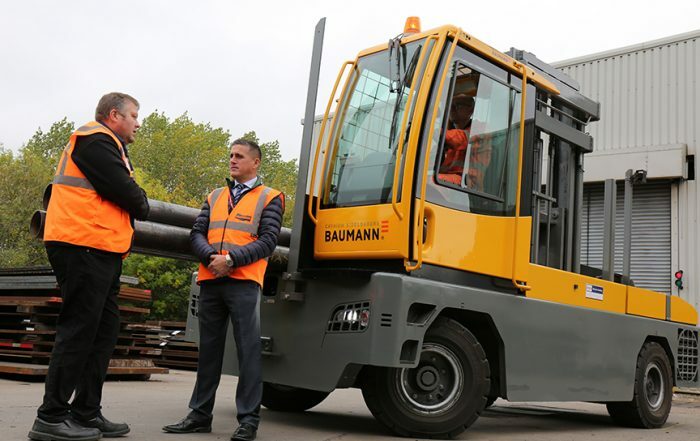 Baumann has unveiled new five to eight tonnes capacity additions to its award-winning GX range of sideloaders. Two new Baumann GX50 sideloaders, complete with the award winning Archimedes outreach system, are helping Ridgeons Forest Products move with the times. Three GX80L Baumann sideloaders, a machine known for its durability and high build quality, are helping engineering firm, Caunton build for the future.